Formed from the musical loins of Ryan Smith's critically acclaimed solo work, this new Hull (UK) based five piece have perfected a similar jangle-gaze aesthetic courting critical acclaim with previous singles Kare and the Way I Want, even from the likes of Radio 1 / MTV as they help to nibble through the boundaries of what should be termed 'popular music'. 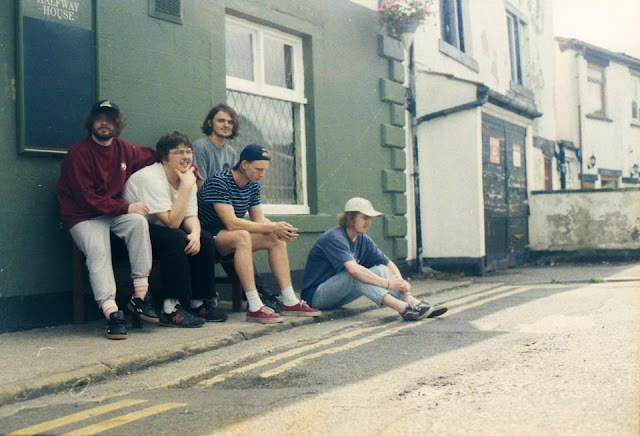 Produced by The Orielles button twiddler Alex Greaves, C.U (see below) has a windswept aura added to a chiming jangle-pop quotient that fights through Pale Saints / Slowdive, Shoegaze. It has the added benefit of having that endearingly muted 'wall of sound' Japanese guitar work oozing around every musical corner, coupled with Ryan Smith's more testosterone driven vocals replacing the general Japanese tendency for barely audible whispers. British jangle-gaze? Competition for the likes of The BV's? Lets hope a few more bands of similar quality join the party, as 'good gaze' adds originality to a jangle genre that can sometimes be stifled by its own beauty.